Forty years ago today — April 5, 1973 — an Atlas Centaur rocket launched from Cape Canaveral carrying the Pioneer 11 space probe. 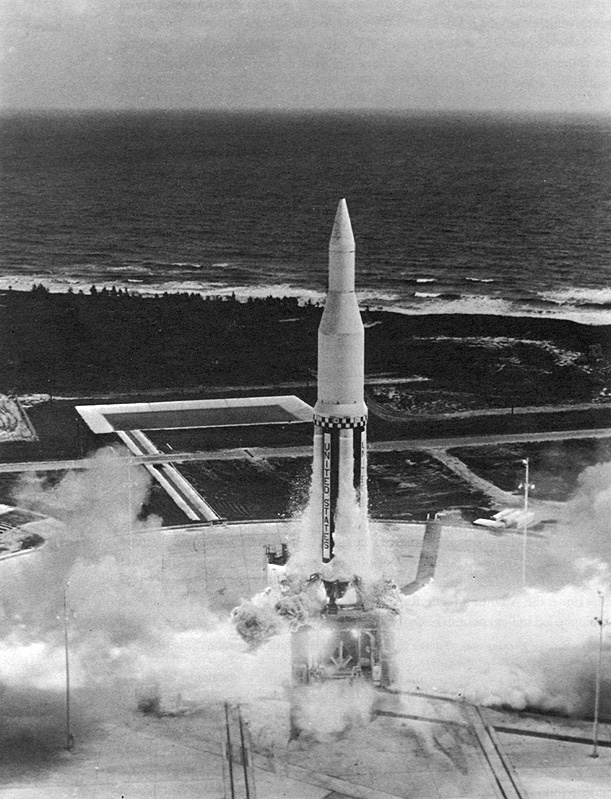 Pioneer 11 launched at 02:11 April 6th UTC, though it was still April 5th in Florida when it lifted off. 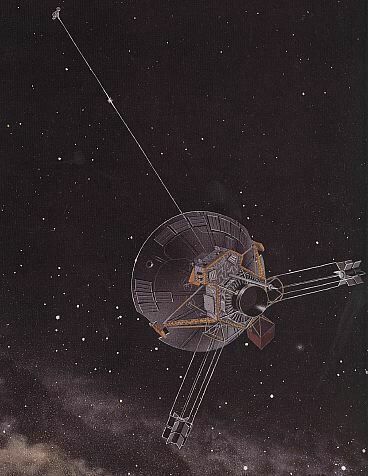 It followed its sister ship, Pioneer 10, which had launched a little over a year before (on March 2, 1972). 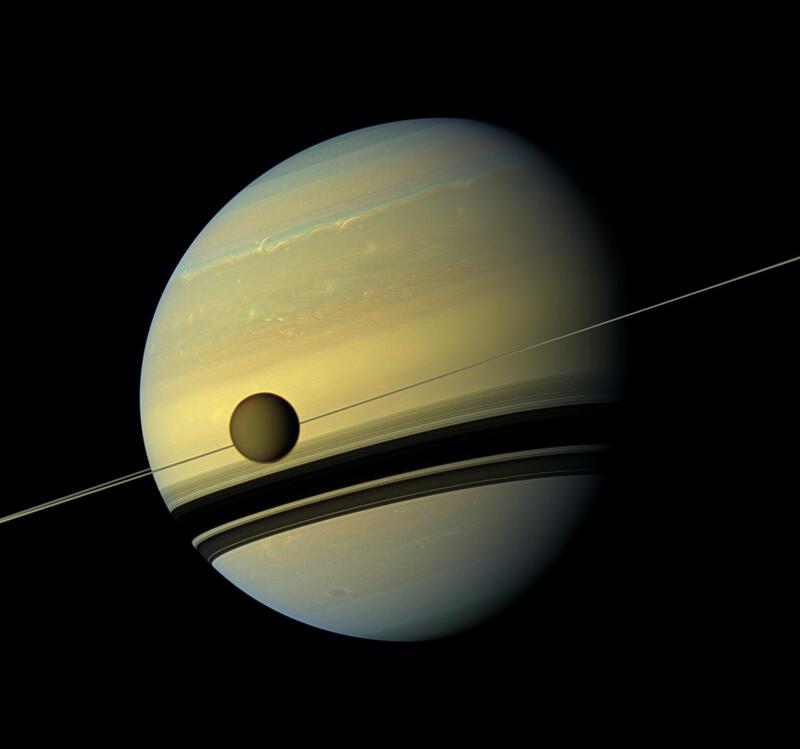 Pioneer 11 was the first spacecraft to travel to Saturn, and returned close-up pictures of the ringed planet. On its way to Saturn, it used Jupiter’s gravity for course correction, and in so doing became the first spacecraft to photograph Jupiter’s polar region. Pioneer 11 passed by Saturn on September 1, 1979, and then continued on toward the edge of the Solar System and the constellation Sagittarius. 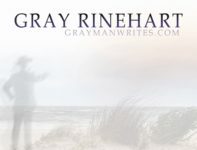 Contact with the spacecraft was lost in late 1995. In today’s space history installment, ten years ago — December 30, 2000 — the Cassini spacecraft made its closest approach to Jupiter on its way to its rendezvous with Saturn. Cassini used Jupiter’s gravity in the now almost passe “slingshot” maneuver to propel it farther out in the solar system toward Saturn. 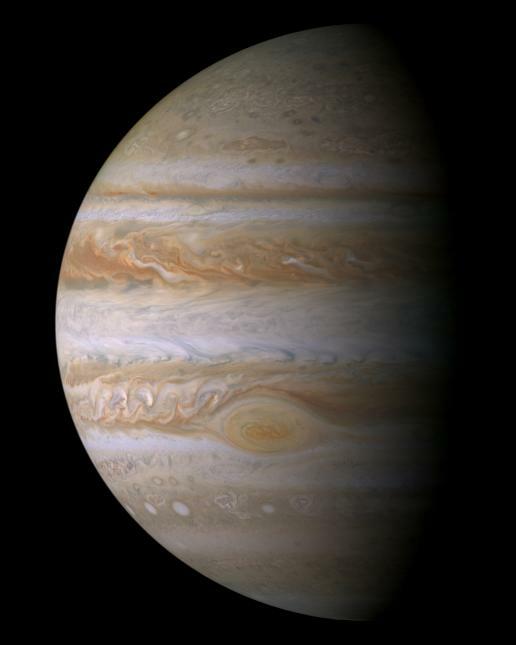 It flew by Jupiter at a distance of 6 million miles (9.7 million kilometers). Thirty-five years ago today — July 15, 1975 — the two spacecraft of the Apollo-Soyuz Test Project were launched. The Soviet Union launched Soyuz-19 from the Baikonur Cosmodrome, carrying cosmonauts Alexei A. Leonov and Valeri N. Kubasov. The USA launched its ASTP contribution from Cape Canaveral atop a Saturn-1B launch vehicle. Astronauts Thomas P. Stafford, Vance D. Brand, and Donald K. Slayton docked with Soyuz-19 two days later in the first-ever international space docking. Unfortunately for space enthusiasts, it was also the final flight of an Apollo spacecraft flight. In tangentially related news, Donald K. “Deke” Slayton plays an important role in my alternate history story, “Memorial at Copernicus,” which is slated to appear in an upcoming issue of the online magazine Redstone Science Fiction. 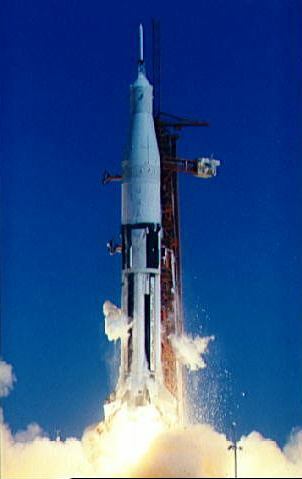 Forty-five years ago today — February 16, 1965 — the Apollo boilerplate mission SA-9 launched from Cape Canaveral. 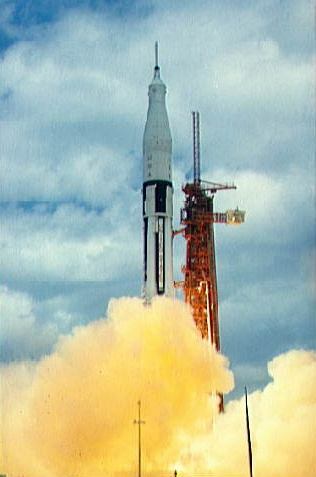 The Saturn-I booster carried a “boilerplate” Apollo capsule and tried out elements of the Apollo launch sequence, but also carried its first live payload: the Pegasus-1 micrometeoroid detection satellite. The Pegasus-1 spacecraft was equipped with large wings — 29.3 x 4.3 meters, nearly 100 feet by 14 — that detected impacts by micrometeoroids in the flight regime through which Apollo astronauts would fly on their way to the Moon. This Wikipedia page has more information on the Pegasus itself.